JS Rafaeli is a musician and writer based in London. He read English and Modern History at St. Andrews University, and then completed an MA in Postwar Diplomatic History at UCL. After writing for various groups as part of Scotland’s Fence Collective, JS joined The Aliens (made up of ex-members of the Beta Band, and signed to EMI), and went on the road. He has worked as Lectures Director at the prestigious members club and literary salon, Miller’s Academy. His program there was eclectic enough to include the then Poet Laureate Andrew Motion, dissident Russian billionaire Boris Berezovsky, and former head of the British Army, General Sir Mike Jackson. 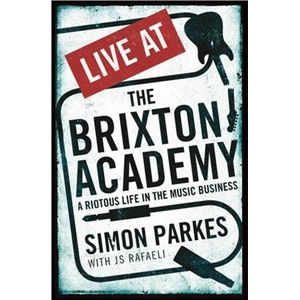 In 2014 Serpent's Tail published Live at the Brixton Academy: A Riotous Life in the Music Business, an account of how Simon Parkes bought and created the iconic music venue.